The Japan Foundation which is a government body that promotes their culture had an opening for the annual preparatory language program. It will be an opportunity for the Filipino nurses and caregivers who dreamt to work in the land of the rising sun. The program was run under Japan-Philippines Economic Partnership Agreement for 9 years. It was also executed with the help of several institutions in the Philippine Government such as Philippine Overseas Employment Administration (POEA), Department of Labor and Employment (DOLE), and Technical Education and Skills Development Authority (TESDA). Hundreds of Filipinos signed up to took part for this rare chance to work in Japan. Hiroaki Uesogi, a Director of the Japanese Foundation in Manila revealed to Kyodo news that a total of 333 people which includes 294 care worker candidates and 39 nurse candidates were selected to have training classes in Manila.He also added that there will be training for Japan language in a span of 6 months. Those who will pass the classes will go to their country for another 6 months of training. After their orientation, they will be forwarded to various health facilities such as care giving stations and hospitals. Once they will successfully complete their stints at their respective working places, they will have an option to get a Japanese Licensure Exam in Nursing and Care giving. If they successfully pass the test, there’s a possibility that they can work in Japan permanently. 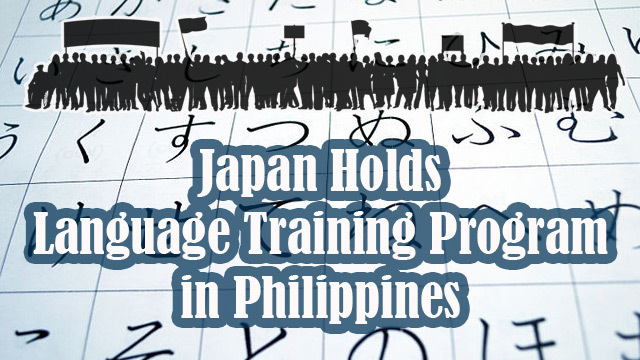 The director then stated that aside from training aspirants the Japanese writings like katakana, kanji, and hiragana, they will also need to learn the customs and manner for they will live and work in Japan. Uesogi also added that all the other lessons that they will learn will help them in the future and it is also a necessary measure in the Japanese society.